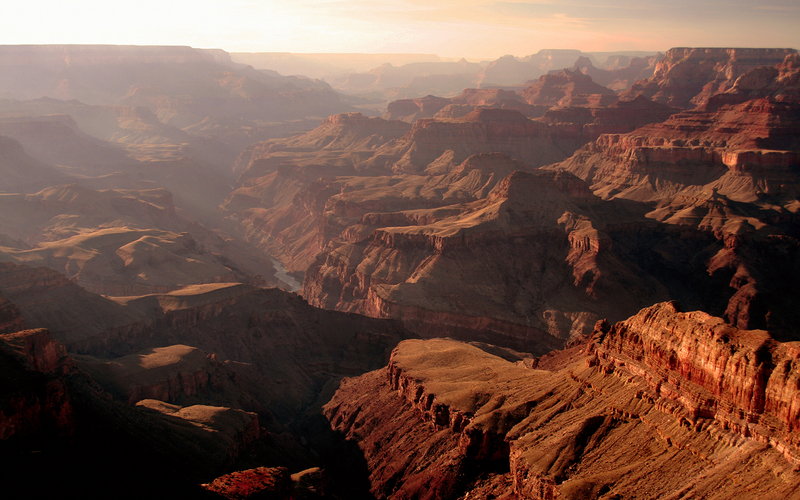 The Grand Canyon is one of the world’s most impressive geological wonders. A two billion-year-old gorge eroded slowly by wind and water, the only way to fully take in the canyon’s grandeur is from the sky! Experience the magic of the Grand Canyon as you fly over Guano Point, Eagle Point, Skywalk and more. Get picked up from your hotel and escorted to the airport where you’ll then board a luxury EC 130 helicopter. 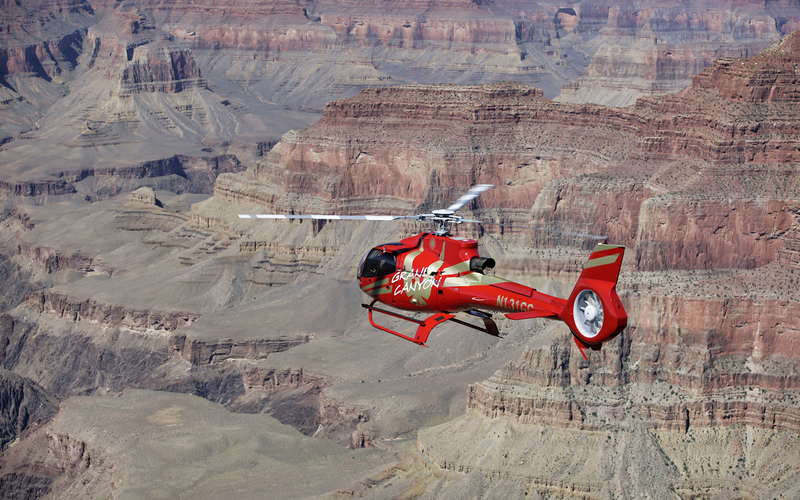 Experience a breathtaking flight over Lake Mead, the Hoover Dam, Mojave Desert and, finally, the enticing West Rim. Don’t just fly over the Grand Canyon - walk on it, too! 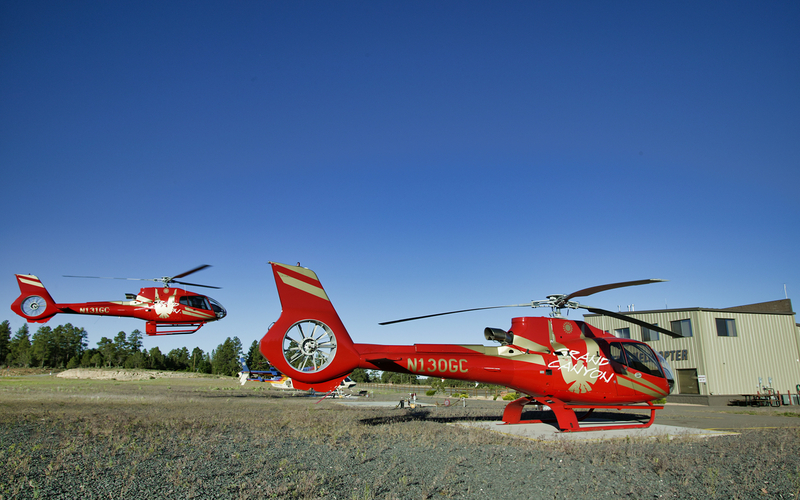 Disembark your helicopter at the West Rim Airport and enjoy 30 minutes of free time to enjoy the views, take pictures or the magnificent surroundings and souvenir shop. Take your experience up a notch with a flight over the Las Vegas Strip. After your fantastic day of sightseeing at the Grand Canyon, your adventure continues with a 20 minute flight over the glamorous strip. Pass over the Stratosphere Tower, Caesars Palace and catch a glimpse of the Bellagio's fountains before spotting the skyline of New York-New York and the beam atop the Luxor pyramid. In addition, your upgraded tour comes with hotel transfers in a luxurious stretch limousine! Enjoy inflight narration and learn all about the region as you snap photos from your breathtaking vantage point. and the impressive canyon floor, 4,000 feet below the rim. Upgrade your tour with a 30-minute landing at the Grand Canyon West Airport where you’ll have the opportunity to take pictures or the magnificent surroundings and souvenir shop. On your way back, opt for the extended flight over the Las Vegas Strip. As night falls and Vegas lights up, it’s the perfect way to experience Sin City. You will receive email confirmation with your order confirmation number shortly. On the day of your experience, display your order confirmation number via mobile along with a valid, government issued photo ID upon hotel pickup.